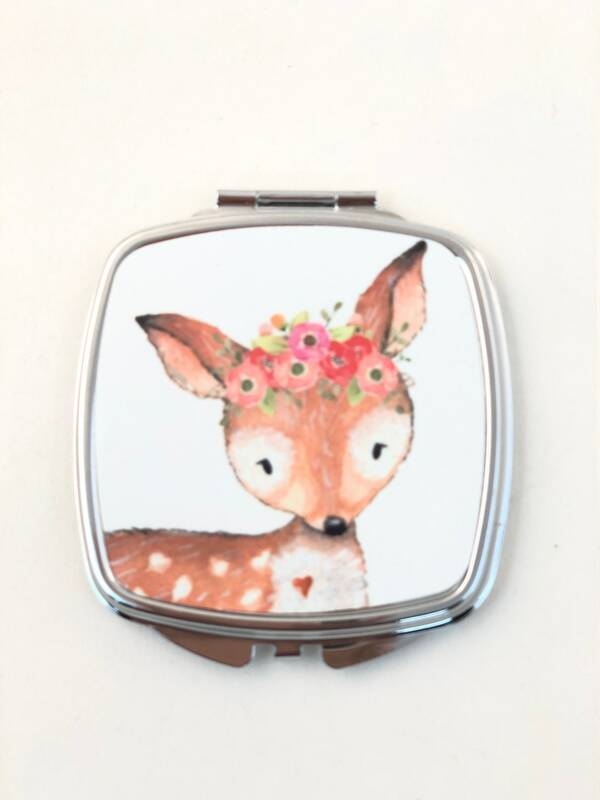 Della the Deer with pink floral head dress graphic art compact mirror. Image is infused into metal and is not a paper decal. Other animals available, Fox, Rabbit,Bear, Skunk, Raccoon, Compact measures 2.5 x 2.5 x.3 and has a silver tone color. When opened each side has a mirror. A perfect gift for little girls, birthday party favors, gift exchange. Each mirror comes in clear view box , that is easy to wrap or place in a gift bag. Christmas Holiday Retro, compact mirror with 1950's vintage image, Get lit!